All three frameless systems utilize the same head track and share the same 3 15/16" (100mm) continuous top and bottom horizontal rails. Solve unique design challenges with three different systems that maintain the same continuous look. 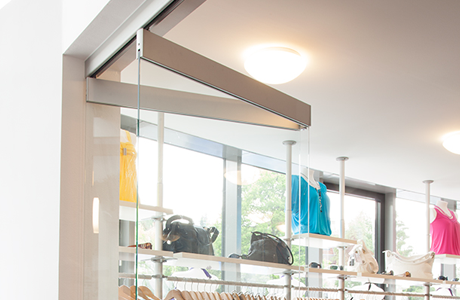 A singel action swing panel is available attached to the end of a chain of panels that fold away along with the rest of the system. 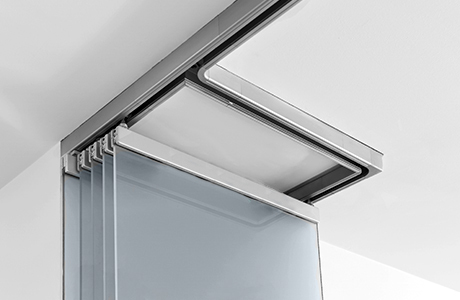 For additional traffic pattern requirements, a pair of single action swing panels can be added to function similarly to French doors. 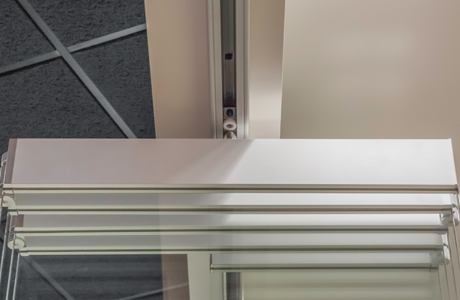 The CSW75 system comes standard with a 3 15/16" (100 mm) continuous top and bottom horizontal rail, allowing for a beautiful aesthetic and maximum glass. 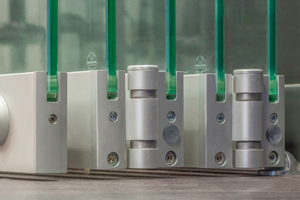 Customized rail options are available in increments of 3/16" (5mm) from 5 1/4" (133mm) to 7 13/16" (198mm). 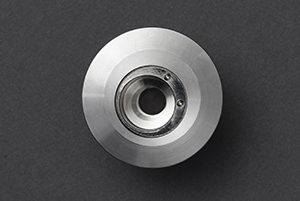 To meet ADA requirements, two options are offered: a 10” (254 mm) bottom rail or a 4 3/4” (120 mm) chamfer bottom rail. 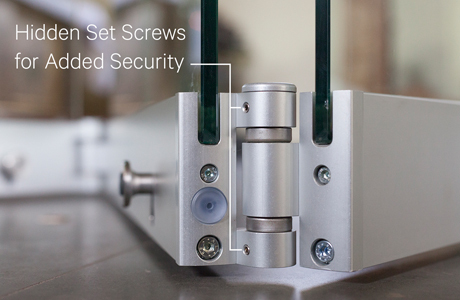 As a standard security measure, two hidden set screws per hinge are accessible only when the unit is in the open position. 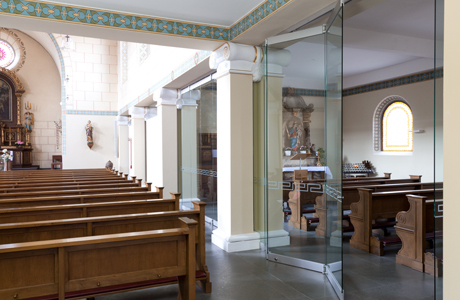 For projects requiring higher levels of security, or an increased acoustical barrier, NanaWall CSW75 can be configured with laminated glass. 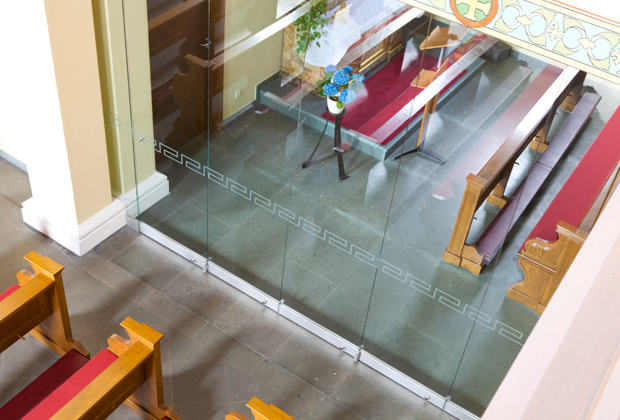 CSW75 comes in sizes up to 3’ 3” (1000 mm) in width and 10’ 6” (3200 mm) in height for full sized folding panels. The folding end panel comes in sizes between 1’ 2” (360 mm) and 1’ 9” (540 mm) in width and 10’ 6” (3200 mm) in height. A single action folding swing panel or option of a pair of swing panels are available in the middle of the system with sizes available up to 3’ 3” (1000 mm) in width and 10’ 6” (3200 mm) in height. For all single/double action end panels, sizes available are up to 3’ 7” (1100 mm) in width and 10’ 6” (3200 mm) in height. With the CSW75 there is no need for additional structural support for the parking of the panels since parking remains within the plane of the opening. 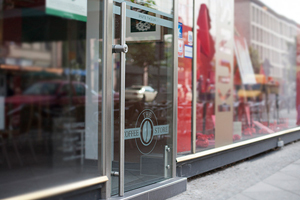 CSW75 can be used in exterior applications as a windbreak. Please note that at this time, CSW75 is not rated for air and water infiltration or acoustical performance. 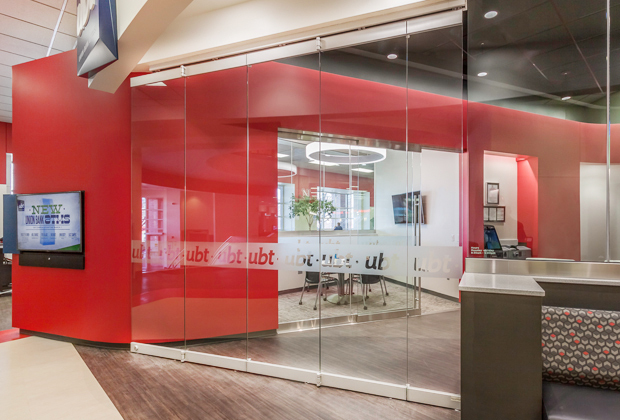 An optional Tubo100 integrates a locking mechanism with a profile cylinder at hand height into the tubular designed handle eliminating the need to kneel to lock the door at the bottom rail. Tubo100 comes in a brushed stainless steel finish.